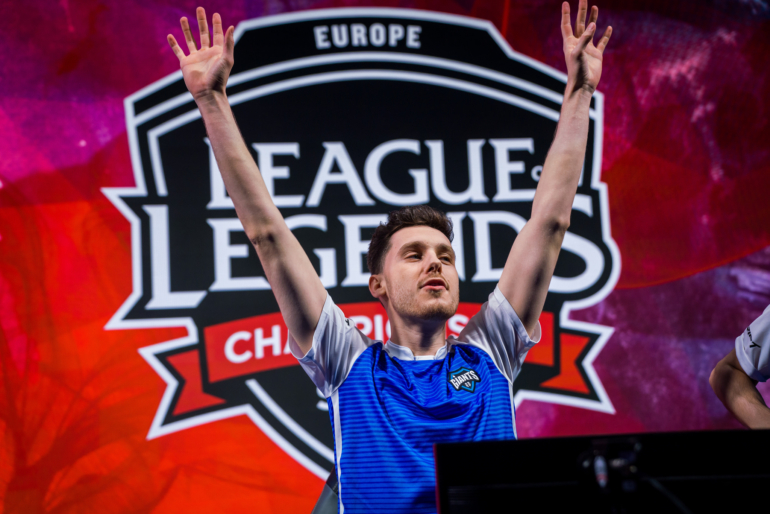 Vitality continue to drop down the EU LCS standings. After rocketing to the top of the European League of Legends Championship Series at the start of 2018, Team Vitality are now on a three-game losing streak. Giants Gaming stopped their own downturn and showed good mid-game shotcalling in today’s victory over Vitality. Vitality started the game on a good note with a quick gank down bot to grab first blood, but they failed to push their advantage further. Charly “Djoko” Guillard has played well this split and continued his strong form in this game as he was consistently in Erberk “Gilius” Demir’s jungle, pressuring the Vitality jungler. Due to his presence in Vitality’s jungle, Danielle “Jiizuke” di Mauro’s impact was mitigated because Djoko continuously ganked the mid lane to put the Italian behind. Giants have shown strength early in their matches, but they typically make mistakes in the mid game to give away their lead. In this match, however, they showed strong macro play to prevent Vitality from getting back into the game. Giants’ strong macro play could be seen in their early Baron take around the 23-minute mark. The two Mountain Drakes they took earlier combined with their ADC Kalista allowed Giants to quickly secure the objective that gave them immense pushing power. Vitality attempted to fight their way back into the game, but they were too far behind and their damage dealers kept getting shredded before they could take down Giants’ carries. Kim “Ruin” Hyeong-min was one of those carries, as he destroyed both turrets and champions. His positioning was fantastic throughout the match and this allowed him to take turrets uncontested or grab important kills. Vitality have looked very poor since the new patch was introduced last week and this game did little to ease their troubles. Although Giants showed similar weaknesses, their dominant performance in this match is a sign of hope for the team moving forward. Tomorrow, Vitality will take on Misfits, who they previously lost to, while Giants will face off against H2K.